"High-class approach play is very much a pre-requisite to succeed here and Lucas ranks second among this field for Greens in Regulation over the last six months." Most of the recent winners at Crans have registered excellent Scrambling figures which makes sense given that the small greens are hard to hit. Aphibarnrat is 22nd in Scrambling this season and ranked seventh in that category when taking T16 at this course last year. While his latest form is hardly anything special, a top five at Wentworth and T16 in the US Open show his obvious class and shooting scores of 70-70-69-71 at Firestone and carding a second-round 69 in the US PGA, even though he missed the cut, show a player not far away. On his fifth start at Crans, Aphibarnrat has the know-how and short-game skills to make a big impact. The career of Lucas Bjerregaard may have not yet quite reached the level to justify serious consideration for a Ryder Cup pick, but he remains one of Europe's hottest prospects, highly progressive and likely to be a candidate in 2020. Last week's effort was his sixth top-10 in 11 starts, suggesting a second title may well be imminent. This event last year kick-started the significant improvement that yielded a breakthrough win the following week, and has since transformed his profile and odds. Ninth place demonstrated a liking for a course where the formbook invariably stands up and that favours him. High-class approach play is very much a pre-requisite to succeed here and Lucas ranks second among this field for Greens in Regulation over the last six months. I backed Alex Bjork in this event last year when he was making his debut at Crans-sur-Sierre and his 16th place finish wasn't as bad as it looks. He sat tied for fourth with just three holes to play before a bogey at 16 was followed by a double at 17. I backed him because of his exceptional scrambling skills but he only actually ranked 52nd for Scrambling 12 months ago and that's nowhere near good enough given four of the last five winners have ranked first or second for that key stat. Bjork's a European Tour winner now, having won the Volvo China Open in April, and I can see him going well this week given he took to the to the course last year without having his brilliant short game on point. Aaron Rai is enjoying a fine year on the European tour and this looks an ideal venue for the hugely consistent Englishman to put up another high finish or even add a win to his 2018 ledger. Rai's lack of length off the tee is not a problem at this ultra-short venue, but his accuracy will be a real weapon alongside his top-class scrambling. Rai's year on tour has already yielded a top five, two further top 10s and four top 20s and he regularly makes the weekend mix. Current form - a pair of ties for 24th place - is encouraging and he enjoyed a week of rest last time out. All the attention will be on who makes the Ryder Cup team this week but this future Europe star could be the man to make the big impression when the tournament draws to a close on Sunday afternoon. Course form repeatedly stands up at Crans-sur-Sierre so I have no hesitation in putting up previous winner Danny Willett as he continues on his comeback trail. Few golfers have fallen in grace as quickly as Willett did since the World Golf Rankings were introduced over 30 years ago. The Sheffield man was ranked inside the top 10 in the world after winning the Masters in 2016 and even started 2017 as the 11th ranked player in the world. Just 16 months later he was down to world number 462 after suffering a huge dip in form and a crisis in confidence. 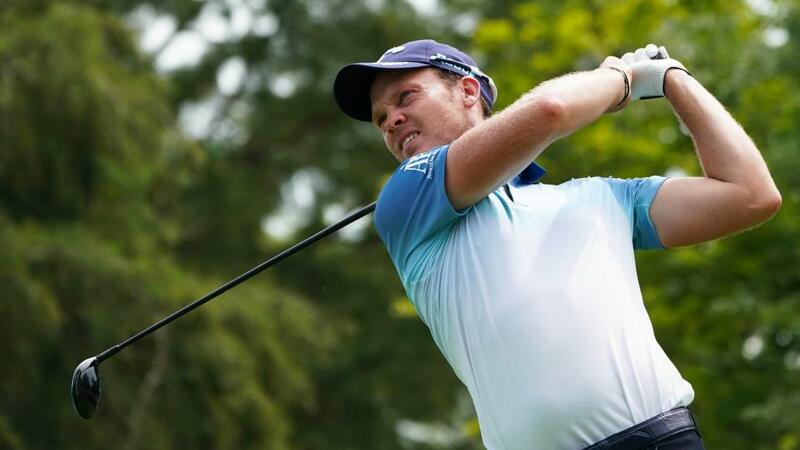 A T8 finish at the Italian Open was the start of a revival however, and Willett would go on to record top-25 finishes in all three of the big links tests in the height of the summer, including a T6 at the Irish Open. The 30-year-old has only tee'd it up three times since, missing the cut twice and finishing top 20 at the Czech Masters, but the signs from the summer are very encouraging as he returns to the Swiss Alps where he has hugely impressive form figures of 2-26-5-1-12 in a five year spell from 2012.